Just by looking at this dynamic duo, it’s difficult to imagine that prior to being brought to our North Melbourne shelter, Frank and Fred led a vastly different life to the one they enjoy today. 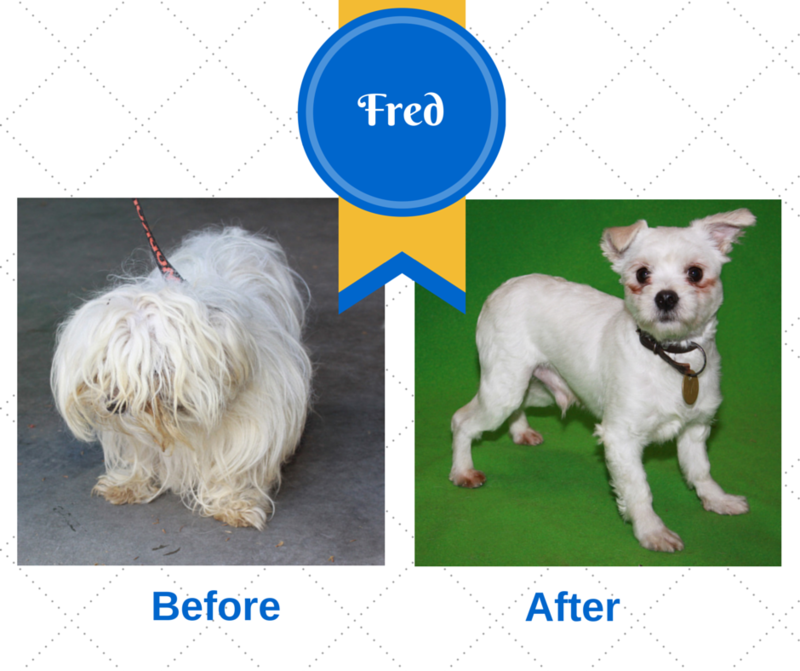 The six-year-old Maltese terrier mixes arrived in what can only be described as a horrendous state. You would be hard pressed to guess, even from a short distance away, they were actually terrified little dogs that had been horribly let down. Beneath their heavy matted and flea infested coats the pair were also severely malnourished. Their ribs protruded through their skin, they were clearly emaciated. By law, owners are given eight days to claim and collect their missing pet. 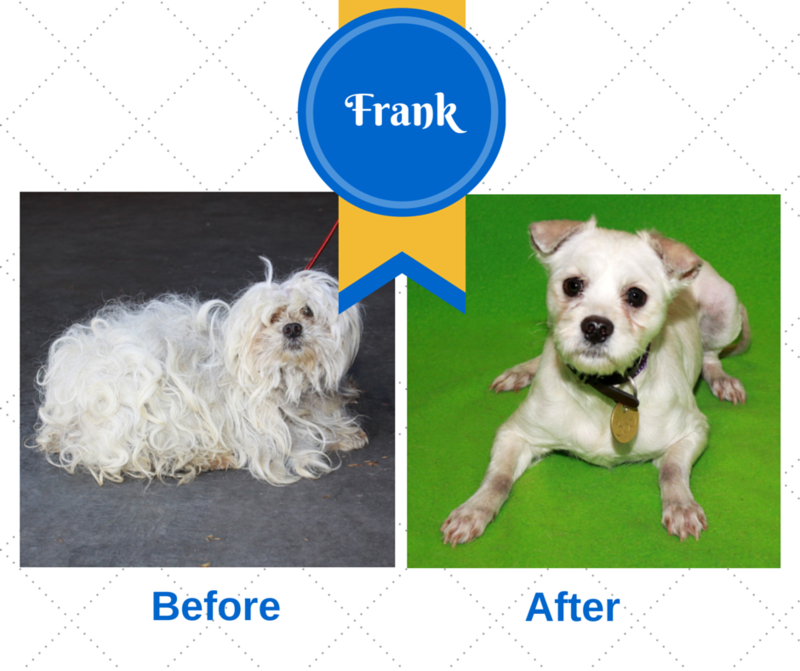 In great need of an urgent make-over, Frank and Fred both received a thorough bath and groom to rid them of their long, tangled and heavy coats that had caused them terrible discomfort. Each were given a complete health check — including dental, flea and worming treatment — before Frank was admitted to our Frank Samways Veterinary Clinic for a single patella surgery. 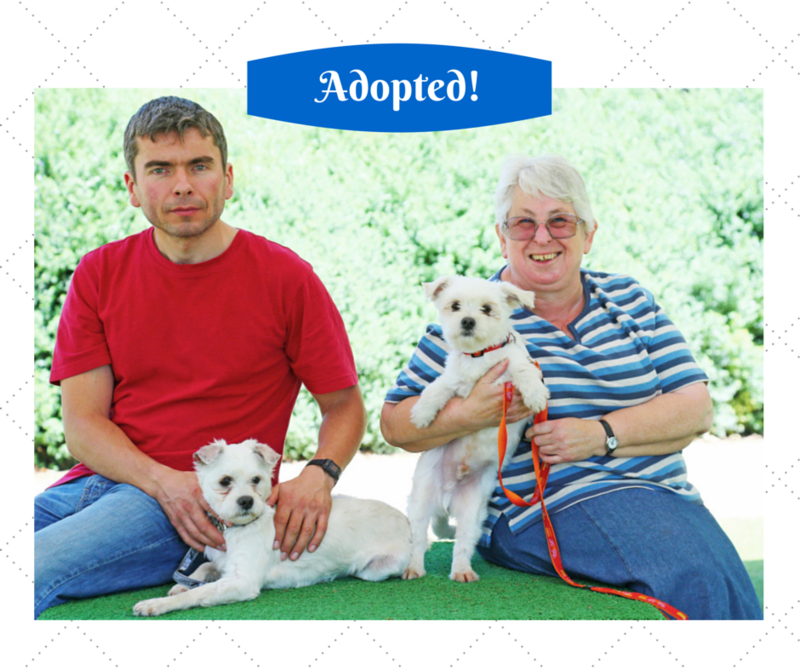 To recover and heal in a nurturing home environment, Frank and Fred were then placed into the care of our foster carer Wendy who immediately took to the two friends. They were both very shy and timid at first, but after spending some time in my home they gained quite a bit of confidence. Fred is the smaller of the two dogs and thinks he is the boss and Frank is the follower! Both love attention and cuddle, are very affectionate and love to run and play together. Wendy reported a quick and successful post-surgery recovery for Frank and by the end of their time at her home, both had through a prescribed diet gained much needed weight. Deeply saddened following the passing of her 16-year-old Australian terrier and Chihuahua mix, Ann knew it was time to pay a visit to a shelter. While gently stroking Fred on her lap and looking down at Frank comfortably sitting at her feet, Ann knew she had made the right decision. View all our adoptable cats and dogs profiles and make a difference to the life of a shelter animal today!